For those of me who know me personally, I am always “fashionably late.” Not always a good thing, in fact its kind of annoying. Sometimes I will plan ahead and still be late. I’ve always had a love for fashion, and accessorizing according to each outfit. Even my kids. We have been late to events because I couldn’t find the matching shoes to Cayman or Beckhams outfits. It drives my husband bonkers I’m sure. When I saw this tee at Tara Lynns Boutique, it had ME written all over it. 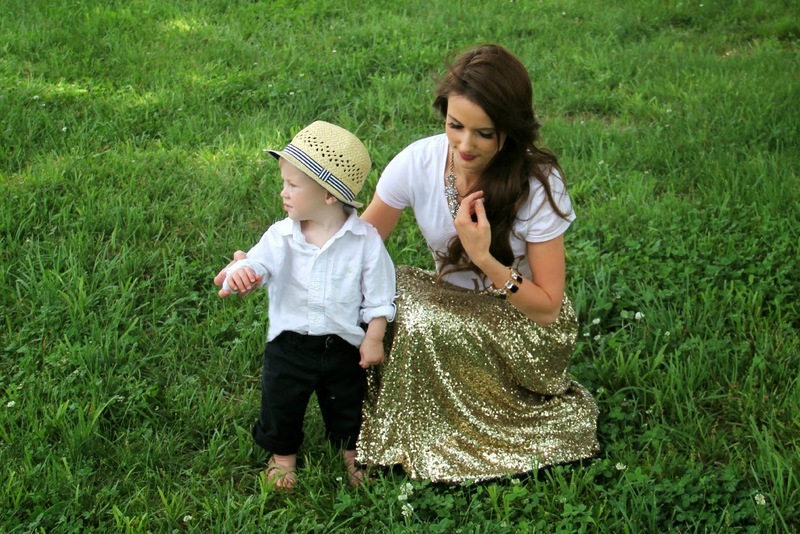 Oh, and this gold sequin skirt? I just can’t stop staring at it. I want to wear it all day every day, because I feel like a gold goddess wearing this beauty! You all NEED one of these in your closet, in fact I think every girl should own at least one gold sequin skirt. Plus, the price is awesome! This is my first official blog post coming to your from Nashville Tennessee. So far we love it here. There is green everywhere, as you can see by these pictures. If you follow me on instagram you know that my husband is in summer sales. He is a manager for VIVINT, and we travel every summer. Everyone here seems to be really nice, and we are loving the sunshine. Minus the humidity, I could do without that! The boys seem to be adjusting great and already have lots of friends. I hope you all have a fantastic Friday and enjoy your time with friends and family. I know I will be spending every second playing and cuddling with my two adorable boys. Happy Friday! Love all the glitter! So fun. I love this look! That skirt is gorgeous! Awesome tee! I love it and your necklace is just gorgeous. So adorable! 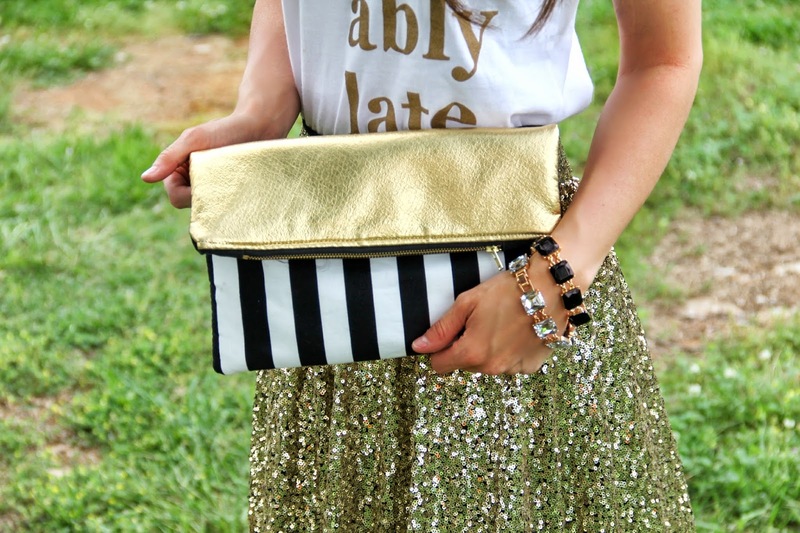 Love the Fashionably Late tee, and it looks fab with the sequinned maxi! Love the whole ensemble! Great mix of casual with the tee and absolute gorgeousness with that skirt. It totally is a goddess skirt! Did your husband take the pictures? If so he did a great job! I found your post through the Be,You,tiful link up party. Very cute! Love the skirt!!! I love this look! Everything is perfect! Hi there. Love this outfit. You look amazing. Such a cute top, if only they had it in men's I would buy one for my husband! Beautiful pics. Wow! I love this! I love the simplicity of the casual tee with a spangly (very spangly) skirt. It looks so different to anything I've seen today! I'm from the perfectly coutured linky. I'm also following you on bloglovin. This look is simply stunning!!! I LOVE the sequin maxi! AHH, that skirt! I. NEED. ONE. NOW! Thank you so much for linking up to the Be.You.Tiful Link Party! I am so in love with that skirt!! So glamorous! Thanks for linking up!! This skirt is absolutely stunning and if the top fits, wear it! I love you skirt so much! I may have to buy one. 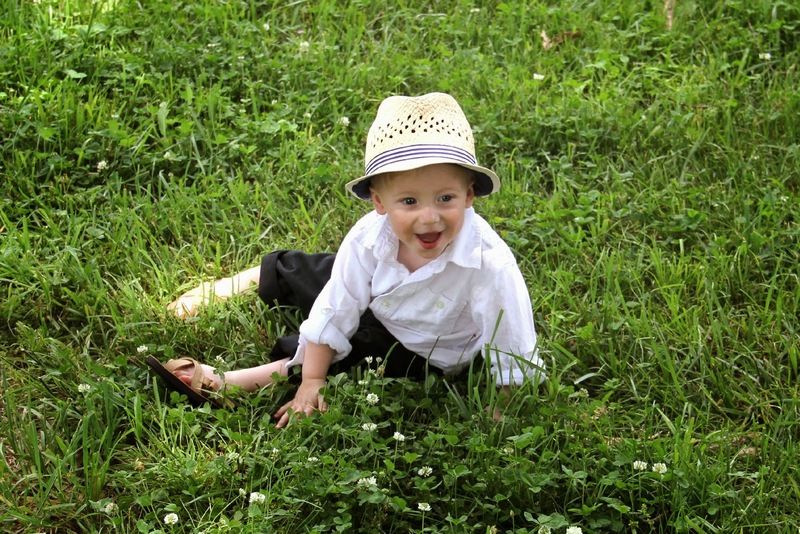 Visiting from the Favorite Fashion Friday link up. Ok that skirt is amazing! You can wear that to so many occasions! Beautiful!!! And enjoy Tennessee, it is such an awesome and unique place!